Impossible Foods is creating meat and cheese from plants. The idea is the taste that people love, which has always come from animal sources, can be enjoyed without negative health and environmental impacts. 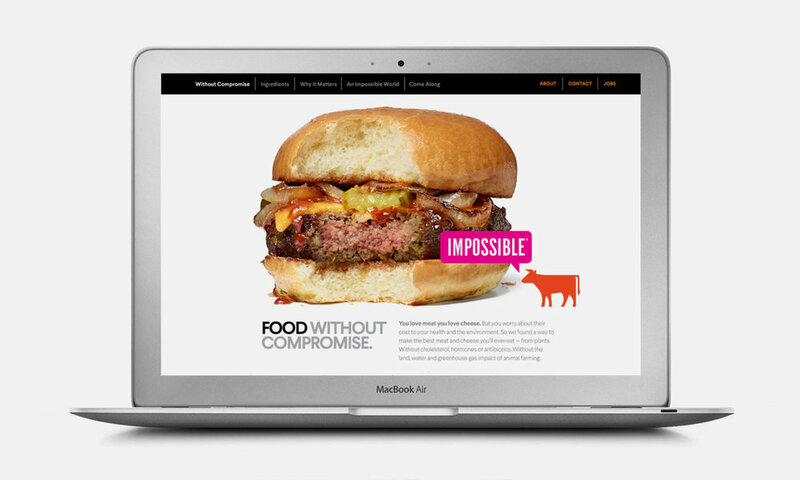 This branding assignment included identity, packaging and web site design, as well as hats, t-shirts and a food truck. The logo has four versions, each using a different animal to represent products the company is developing. 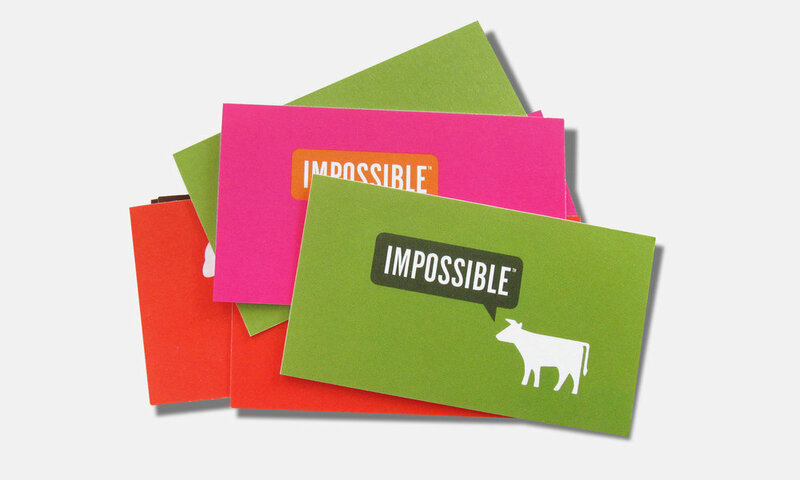 A Wall Street Journal video on Impossible is here.